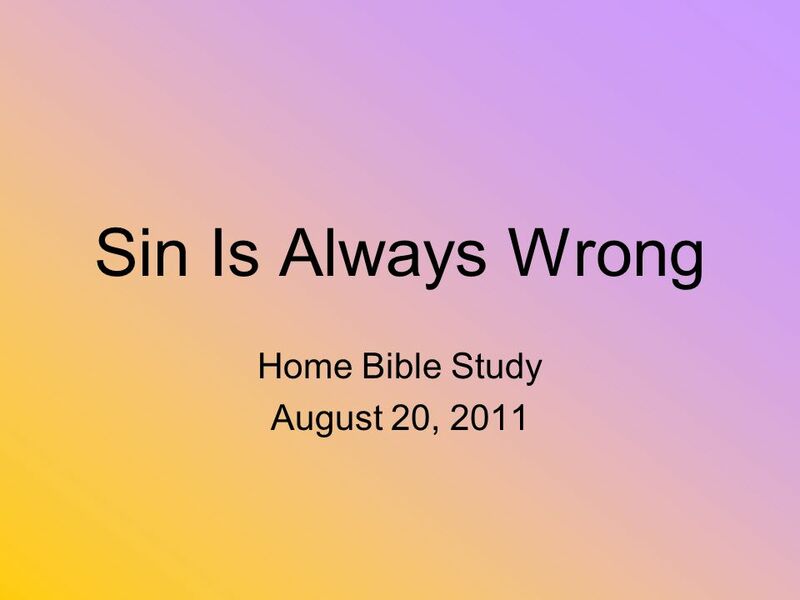 Sin Is Always Wrong Home Bible Study August 20, 2011. 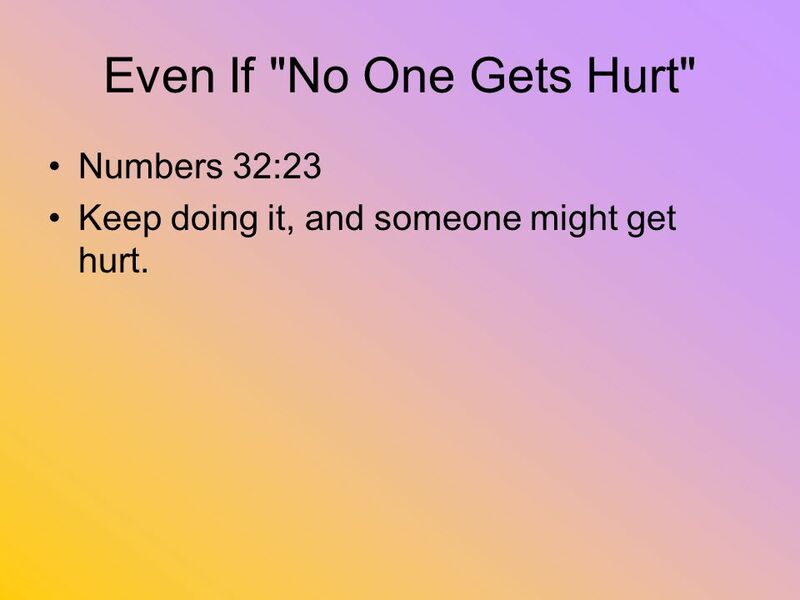 6 Even If "No One Gets Hurt" Numbers 32:23 Keep doing it, and someone might get hurt. 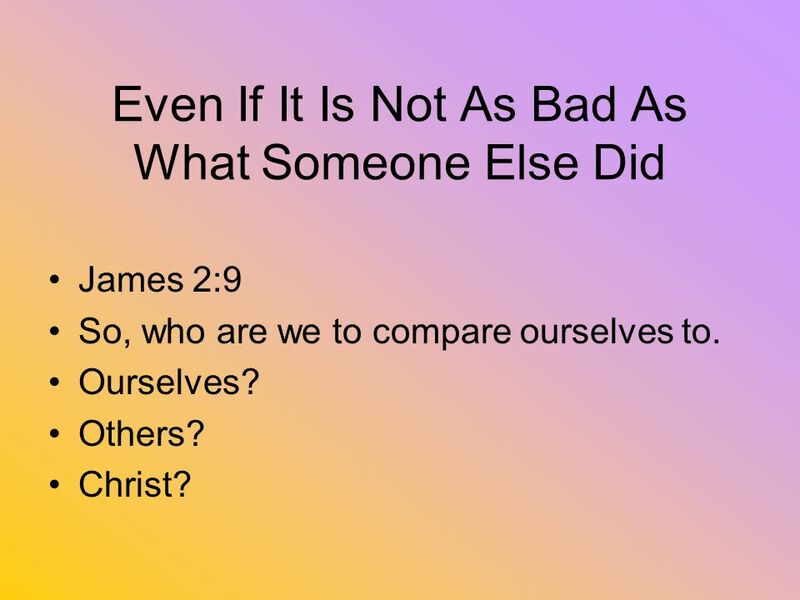 8 Even If It Is Not As Bad As What Someone Else Did James 2:9 So, who are we to compare ourselves to. Ourselves? Others? Christ? 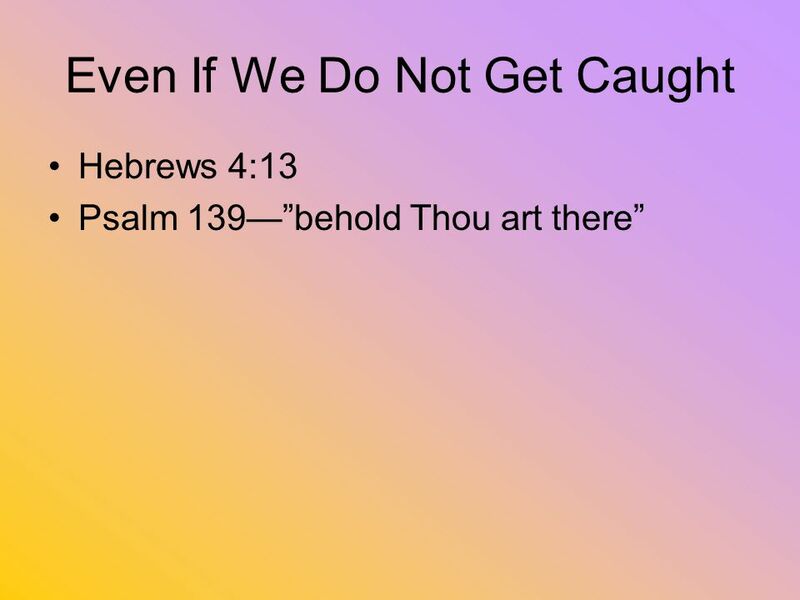 Download ppt "Sin Is Always Wrong Home Bible Study August 20, 2011." 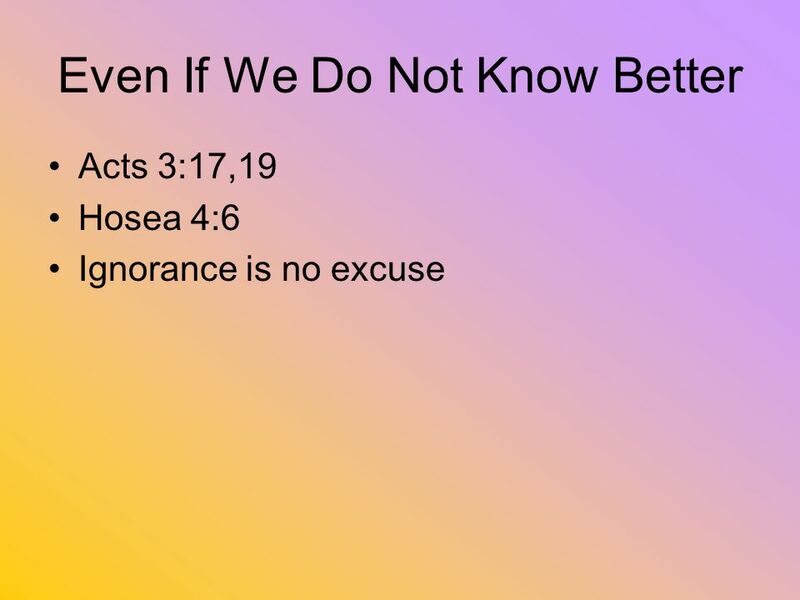 Back To The Bible Concerning Our Knowledge Of Gods Word By Willie Alvarenga. 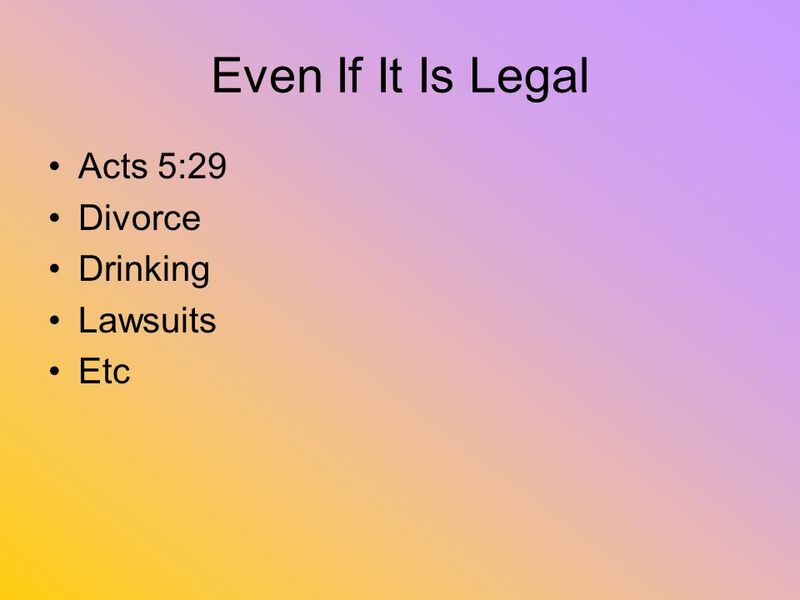 For Those in Pain Understanding Suffering Deuteronomy 8:1-5; 2 Corinthians 1:1-11. 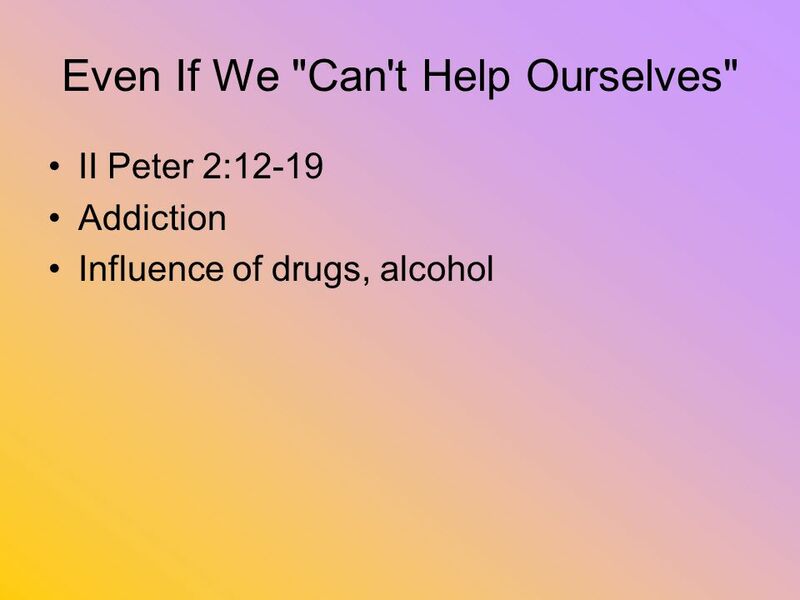 Predestination Or Personal Choice? Joshua 24:15. 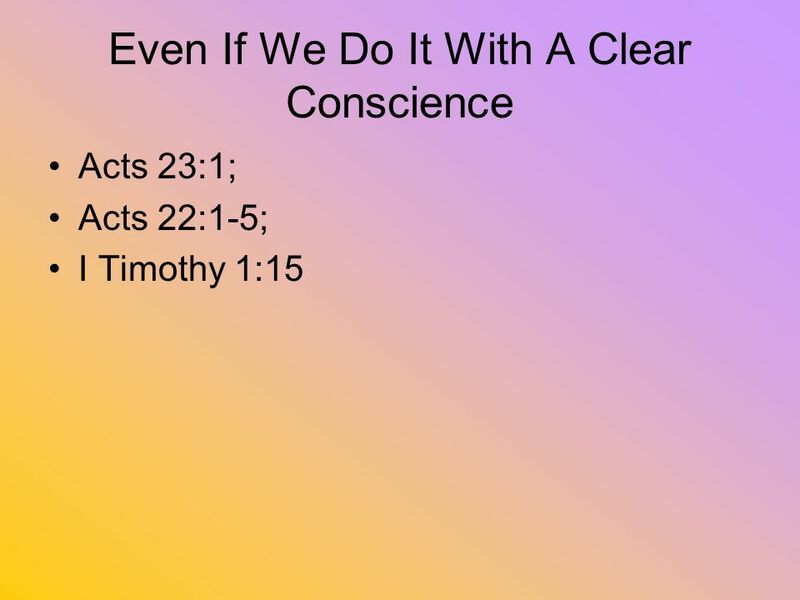 Mans freedom of choice is taught throughout the scriptures John 7:17 If any man willeth to do his will. 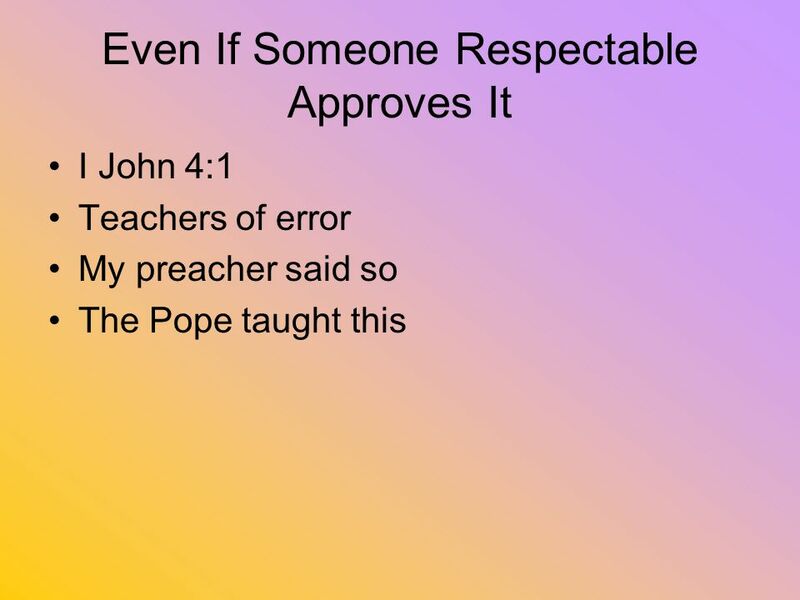 Genesis 4:9 Cain is asked a question by God. 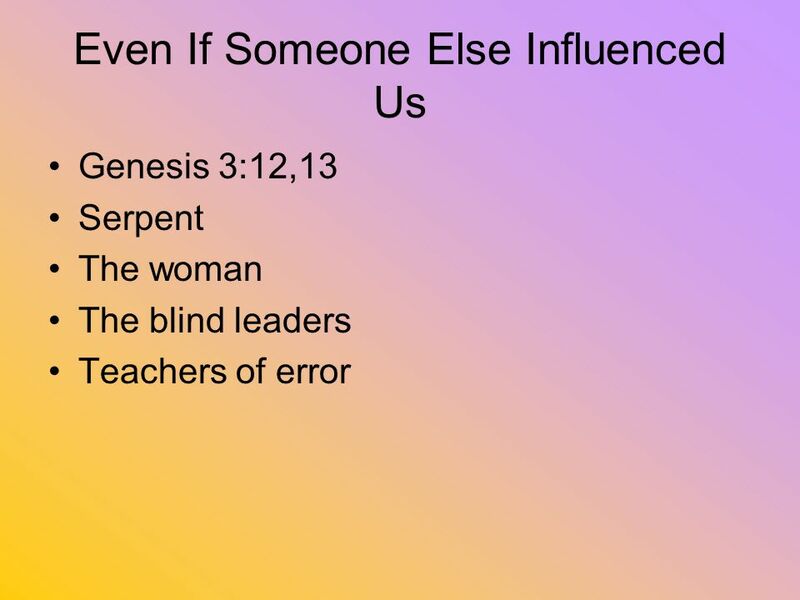 Genesis 4:3-8 Cain answers with a question. 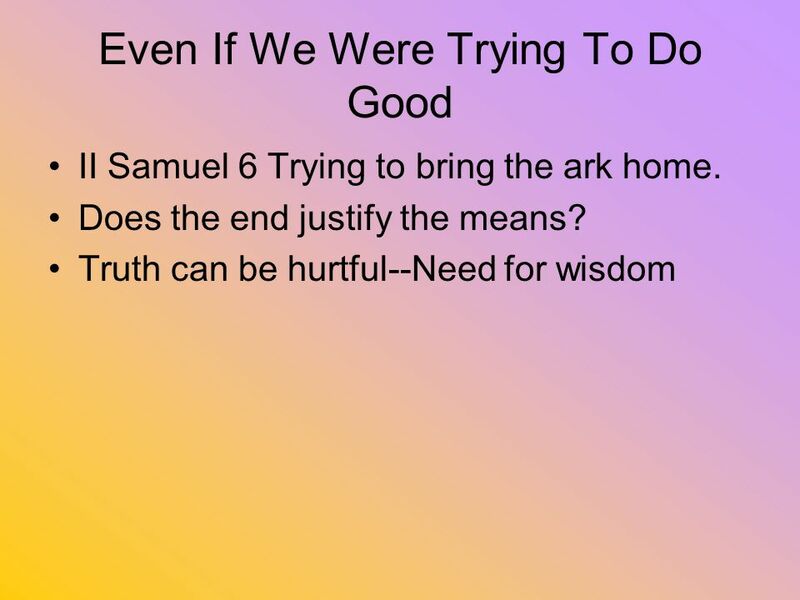 His response: Genesis 4:9 This is a question we should ask ourselves.